The above title may seem like common sense but I have come to the realization that common sense is not common. 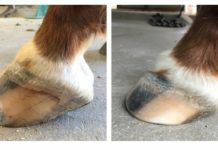 Far too often I talk with distressed customers who need to purchase boots for a riding trip that is just days away. 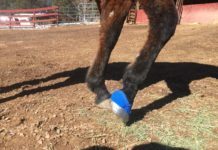 Sometimes it is the customer’s first time using boots on the horse and the horse’s shoes may have been recently pulled. Unfortunately this is far from an ideal situation. Whether you are developing a Strategy to Top 10 at Tevis or going on a weekend trail riding trip, planning and preparation can mean the difference between success and failure. Although I am not currently involved in distance riding, I did just finish a 24 mile backpacking trip in the Grand Canyon. The same steps I took to prepare for my trip apply to distance riding. 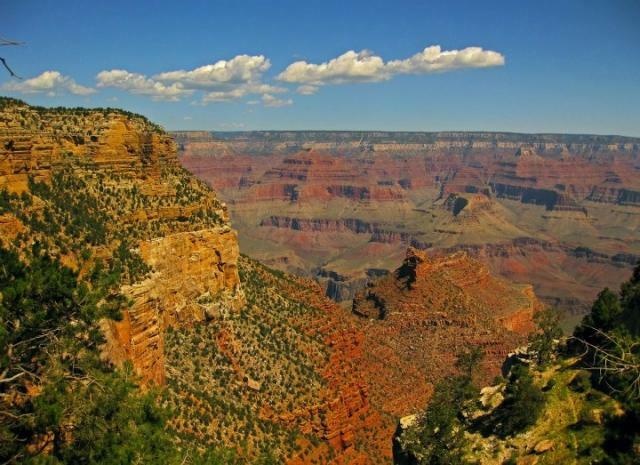 View from the South Rim of Grand Canyon. Before any organized event or casual excursion always check your equipment to verify that it is in good shape. My hiking boots were several years old and I had been super gluing the soles together; no one likes breaking in a new pair of boots but I knew that super glue was not going to cut it for Grand Canyon backpacking. I bought new boots two months before my trip and began the break in process. We strongly encourage our customers to break in their horse’s boots as well. 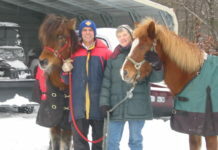 It is best to start by doing shorter rides (less than an hour) at a walk and trot. If your horse is moving freely and not chafing, you can increase the speed and duration of your rides over time. A good fit is an important key to success. I knew if my boots did not fit well, I would be at risk of developing blisters. 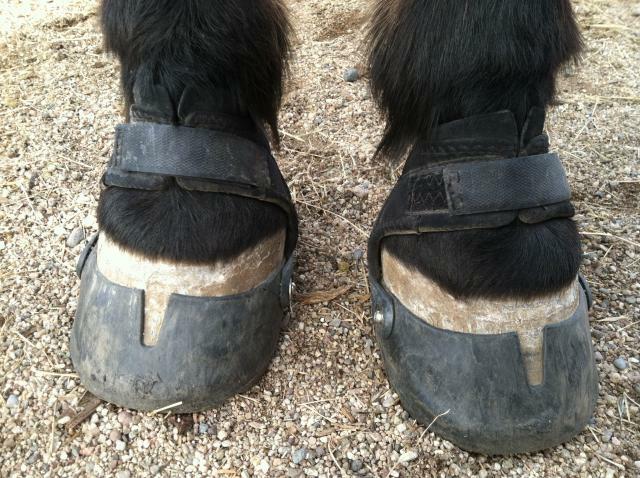 If your horse’s boots do not fit, there is an increased risk of chafing, twisting and boot loss. Purchasing boots well in advance of your trip gives you time to ensure that the boots you selected are working well for your horse. No one wants to have a riding trip ruined because they lost new boots or their horse developed a rub. A good fit with the Easyboot Glove is vital for success. If you condition harder than the trip you are preparing for, you are more likely to have an enjoyable experience. Although the longest days of my trip were seven miles, I did some conditioning hikes that were over ten miles. This was also an important step in Kevin Myers’ strategy for Tevis and applies to all distance riders. Planning and preparation allowed me to have a worry free trip that was blissful. Do yourself and your horse a favor and follow these steps. I can promise that you won’t regret it. Next articleCan He Fill Those Hoof Boots?